"New Kansas jobs figures stun Sam Brownback, and not in a good way." "Gov. Sam Brownback is staring at how to make a staggering cut of $648 million in next year’s Kansas budget, partly because tax cuts aren’t creating the promised number of jobs in the state. "The new Kansas jobs numbers were released Friday morning, bringing horrible news to state taxpayers and Gov. Sam Brownback. The federal Bureau of Labor Statistics reported that the total number of nonfarm jobs in Kansas fell by 4,100 in November. "Kansas’ disturbing experience was at odds with how much of the rest of the country did. A total of 37 other states gained in employment in November, while only 13 others, including Kansas, dropped. "Missouri boosted employment by 4,500 in November, for instance, while Oklahoma gained 3,400 jobs. Two other neighbors, Nebraska and Colorado, were among the job losers, though not close to the number shredded in Kansas. It's prosperity for all (aristocrats)! Of course it takes a certain type of people to go along with all this b.s. ...because we're told that the root of all money is evil. And they're proud of it! 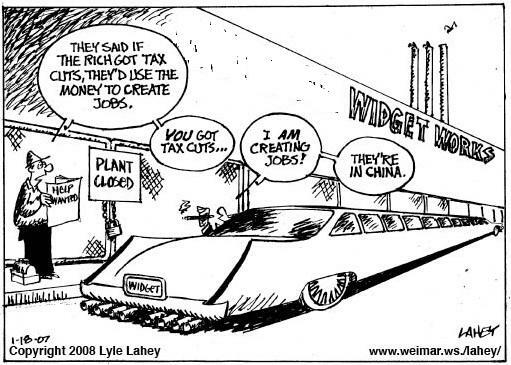 Because they say that trickle-down is a "fact." ...no matter who makes the laws! 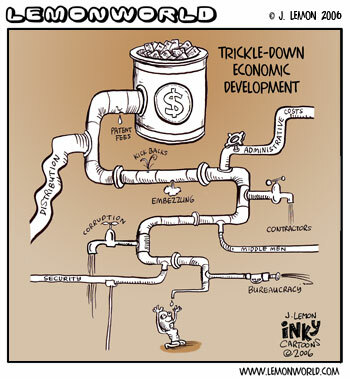 "Trickle-down" economics doesn't trickle down when the spigot is jammed, and the Cons are in Congress to make sure it stays jammed. 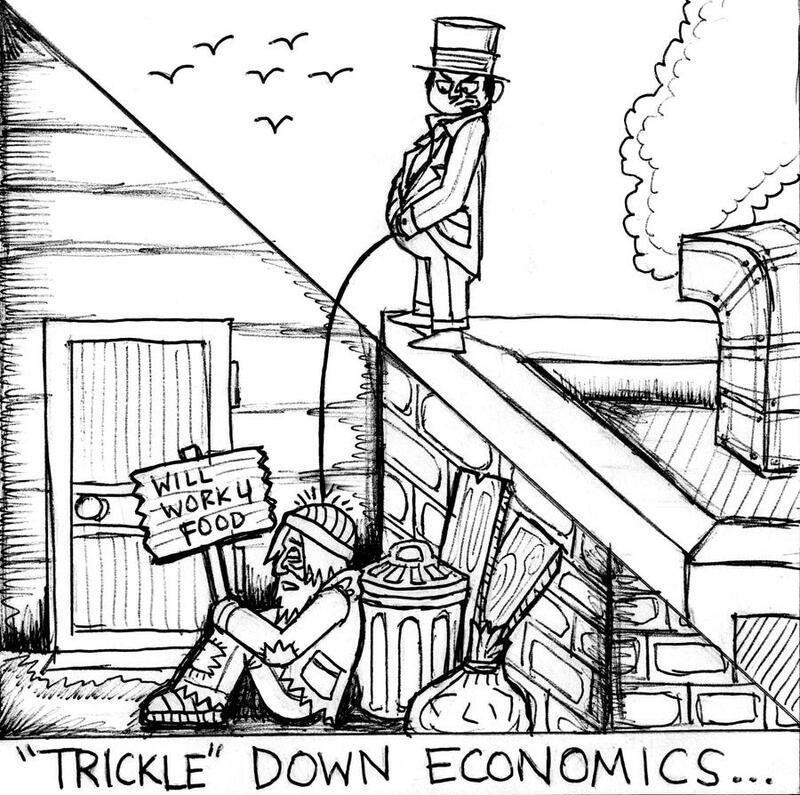 One group of people benefit by trickle-down economics: the richest among us, the one percent of the population that the Cons are sworn to defend and protect until they have complete control of the government. Reagan's budget David Stockman knew about the farce of trickle-down in the 80s, but the Cons have been able to keep the concept going, and nine out of the 10 poorest states in the union voted for Republican crooks who keep trickle-down alive. When the Cons say that "government is the problem," what do you think their solution might be - logically speaking, that is. Yep, no government except an oligarchy pledged to enact the New American Age of Feudalism. "Millions for defense, but not one cent for survival." Alfred Bester, The Stars My Destination.